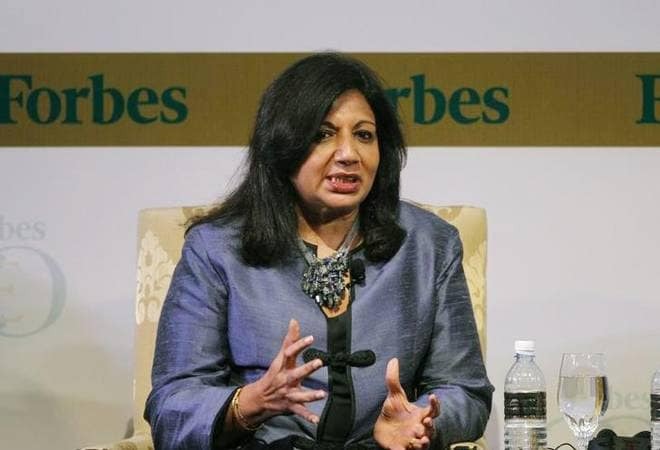 India’s biotechnology industry pioneer Kiran Mazumdar-Shaw Sunday urged the Congress to commit itself to the growth of a robust digital economy in the country and include it in its 2019 Lok Sabha poll manifesto. “There are 800 million plus people in our country using mobile phones and you should be able to provide that connectivity and access to the market and capital. That is the kind of digital economy we must create,” said Mazumdar, listed repeatedly by Forbes as amongst the 100 most powerful woman in the world. Bengaluru has created world’s third-largest startup ecosystem with 11,000 start-ups set up in the last three years here, causing an effect of force multiplier in terms of job creation. Mazumdar said, “angel investors have surpassed venture capital funding in the startup ecosystem and hence, it is important to focus on startups and startup policy”. She said the Congress manifesto should reflect its commitment to doubling science and technology spends to catch up with other world economies, which are making a huge investment in it.